 SNAICC – National Voice for our Children exists to see all Aboriginal and Torres Strait Islander children thrive – growing up in nurturing environments, with loving and supporting families, adequate food and housing, and rich with our culture – to live their dreams. We are deeply distressed by the realities that our children experience today across Australia and believe that we need a new approach to tackle the impacts of entrenched and pervasive discrimination and trauma. Emerging from recent governance changes which have forged a more focused purpose, a smaller and more agile board – supported by a high-quality representative council – and a membership base reflective of our holistic vision, we are confident that this strategy will have significant impact. The 2016-2021 Strategic Plan builds on SNAICC reflections over the last period on whether we are most efficiently and effectively geared towards the change that we want to see. We have asked ourselves: are we achieving change? If not, why? And how can we better make a real difference to the lives of our children across Australia? In response, we have shifted our focus to be outcomes oriented, public facing, evidence based, collective, transformative, and sustainable. We live in a rapidly changing political and social context and must ensure that we are adaptable, nimble and responsive to changing community need.